I have been a licensed Marriage and Family Therapist for over twenty years and especially enjoy working with couples, those in transition with a special focus on aging, bereavement, blended families and families of those who have a member who suffer mental illness as well as self esteem. I also am a Registered Poetry Therapist who finds using literature can help access and express emotions that are difficult to put into words. The goal of my therapy is to help others find their voice, develop confidence, and make the changes they wish to make for a more fulfilling life. Over the years I have seen many clients seeking to understand and change their lives for the better. 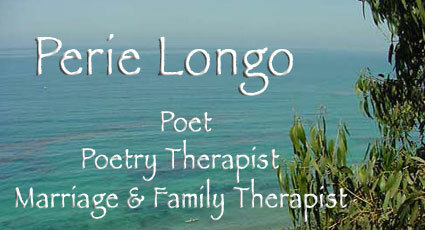 As a registered poetry therapist, I have run writing groups for our local Hospice for many years, as well as the Cancer Center and Sanctuary Psychiatric Centers of Santa Barbara, for those who suffer mental illness. Writing can be a way to find words to express the unsayable. I have published four books of poetry and poems in numerous literary journals.In 2012 I was awarded the Woman of Achievement Award in 2012 from the Santa Barbara Chapter of the Association for Women in Communication.